I’m going to let you in on a little secret – they make Gortex socks and they are amazing. I’m surprised at how few people seem to know about these! 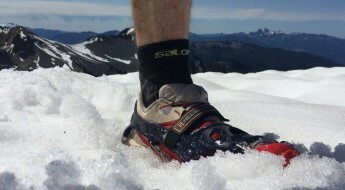 The ones I use are the Rocky Stretch GORE-TEX oversocks, available at MEC in Canada and REI in the USA. They slip on over your regular socks keeping you perfectly dry (aside from a bit of sweat that will build up) and warm in the coldest, wettest conditions. They make your shoes feel a little snug and they’re not cheap but I always use these when running in the snow or snowshoeing. 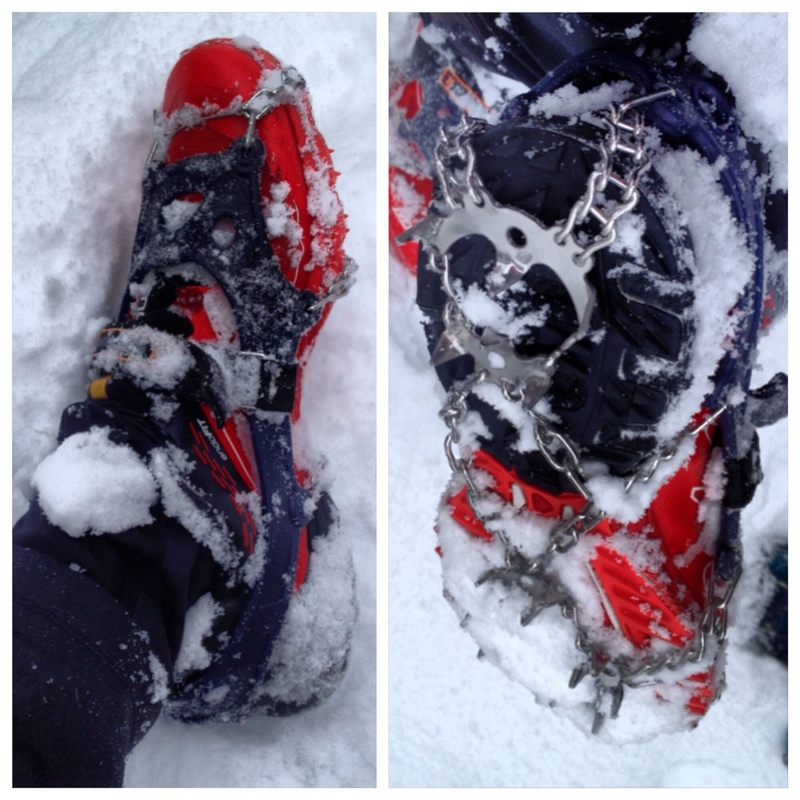 I’m a big fan of my Dion Race Snowshoes for deeper snow, but quite often lighter traction will do. I’ve tried a few solutions over the years but only recently had a chance to try some new Trail Crampons from Hillsound Equipment. So far, I’m impressed: Super aggressive; perfect for in both light and deep snow. 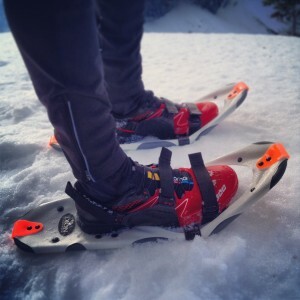 Pictured below are the Ultra model (on my Salomon Sense Ultras) which are more flexible and have an extra strap over the top of the foot to keep them in place. 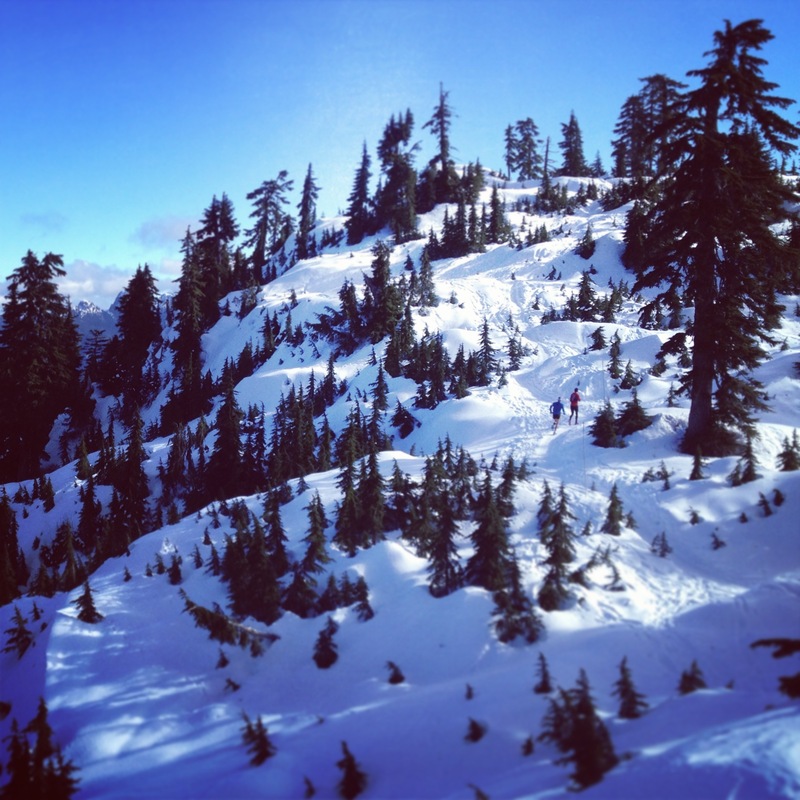 I somehow managed to hold off until this season when I took up skate skiing to finally get a pair of tights. I prefer to be a little cold than too hot and I suppose I feared that tights would make be burn alive or something. Turns out that tights are a great way to keep your lower extremities warm and protected from ice burn when running in deep snow and with a lighter jacket on top I’m never uncomfortable. I personally love the Salomon WindStopper Trail tights which fit a little looser, with a WindStopper front layer and a small back pocket on the rear waist band for keys. My shoes often come home completely soaked and covered in mud, inside and out, and I’ve gotten in the habit of occasionally giving them a full scrub with sports detergent in a bucket. The problem is that mildew can develop if they don’t dry quick enough. 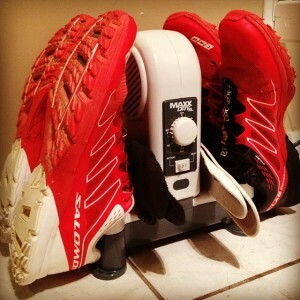 It may sound like a bit of a luxury but I use something called a MaxxDryXL Forced Air Footwear and Glove Dryer (bought from Canadian Tire on sale) and I haven’t had to put on wet or smelly shoes since. This model allows for two pairs of shoes at once and can even work for ski boots, with no shrinkage or damage since the forced air isn’t hot. I think it’s safe to say this is a great gift for the runner who has everything! 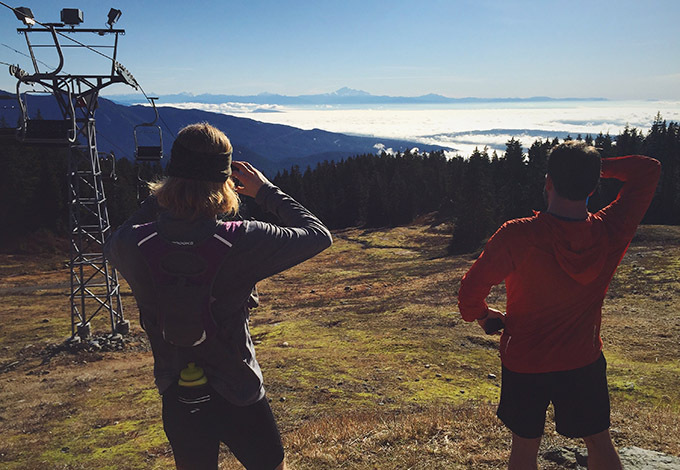 Any other winter running essentials you’d add to this list? Tell me about it in the comments below!